Venture into a world of discovery with Shaker Village Explorer Summer Camp! Summer camp can be one of the most valuable experiences in a child’s life. Explorer Camp allows children ages 6-12 to learn new skills and make friends at one of the most spectacular National Historic Landmarks in the world. 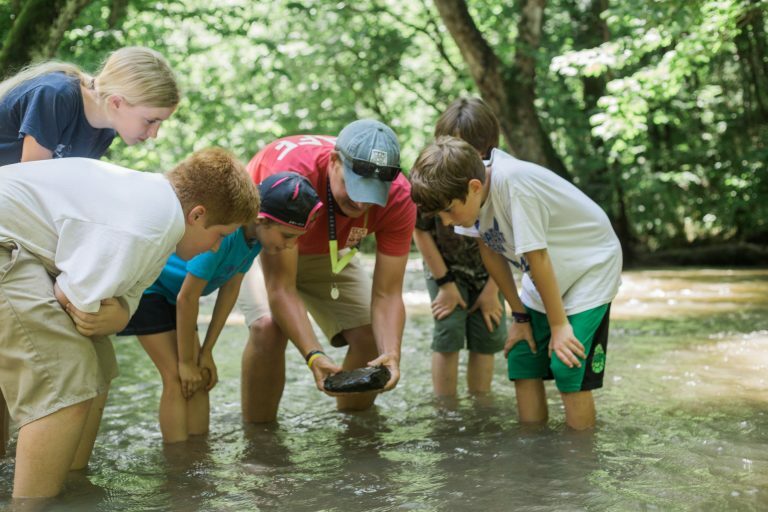 During this one-week camp, trained staff will guide children through adventures in The Preserve, on The Farm, on the Kentucky River and throughout The Historic Centre. Shaker Village offers three, one-week day camp options: June 10-14; June 17-21; June 24-28. Registration fee includes full-day programming throughout the week, two healthy snacks per day, Shaker Village water bottle, and free annual family membership ($125 value – begins after camp attendance). Campers must bring their own, non-perishable sack lunch. Registration fee includes full-day programming throughout the week, two healthy snacks per day (one AM, one PM: granola bar, cheese stick, piece of fruit, etc.) Shaker Village water bottle, and free annual family membership ($125 value – begins after camp attendance). Campers must bring their own, non-perishable sack lunch.